Teachers Colony, HSR Layout, Bangalore, India- 560034. In my experience, an intuitive understanding of the concepts and a certain amount of well planned practice is needed to be able to confidently tackle the problems of that subject matter. In fact, that's how we learn the best. There's a saying, "Give a man a fish and you feed him for a day; teach a man to fish and you feed him for a lifetime". My goal is to get the learner excited about the subject, and change their mindset, such that instead of thinking about it as a burden they actually enjoy learning. Is there any charges if i register as a tutor? No charge for registration. If you want to contact anyone, you have to use coins which you can buy here. So, in a way, it's only useful if you pay. I want to be a maths tutor in classes. Where can i get the classes?? WHat do you mean by classes? Are you talking about home tutions or coachings? 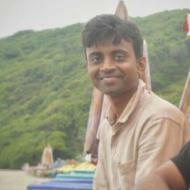 Vishal Anand describes himself as Towards a deeper understanding of Mathematics and Physics. He conducts classes in Class 10 Tuition, Class 11 Tuition and Class 12 Tuition. Vishal is located in Teachers Colony, HSR Layout, Bangalore. Vishal takes at students Home. He has 1 years of teaching experience . Vishal has completed Bachelor of Technology (B.Tech.) from IIT Guwahati in 2012. He is well versed in English and Hindi.